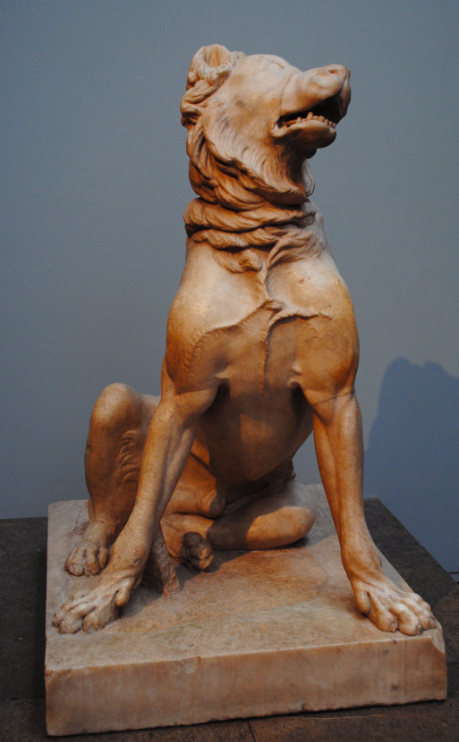 A marble statue of a now extinct breed of dog, a Molossian Hound, sits in the British Museum in London. The breed was common in Greco-Roman antiquity and the above statue is a Roman copy of a Hellenistic bronze original. At over 1 meter tall, the sculpture was acquired by the 18th century antiquarian collector Henry Constantine Jennings in Rome between 1753 and 1756.